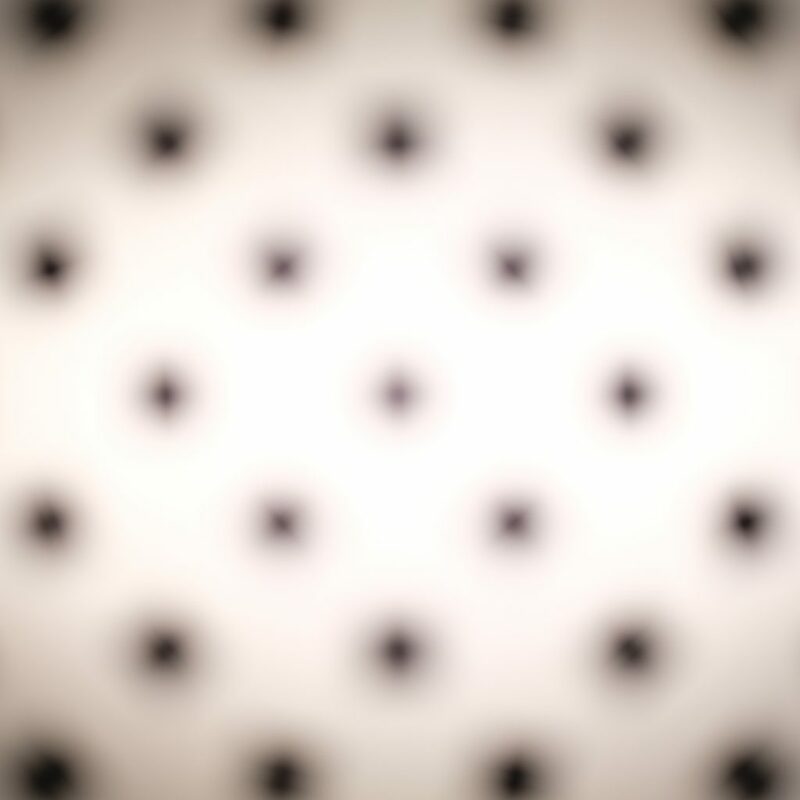 In the last post, I looked at the effects on Bokeh from EFCS with the Fuji GFX 50s. 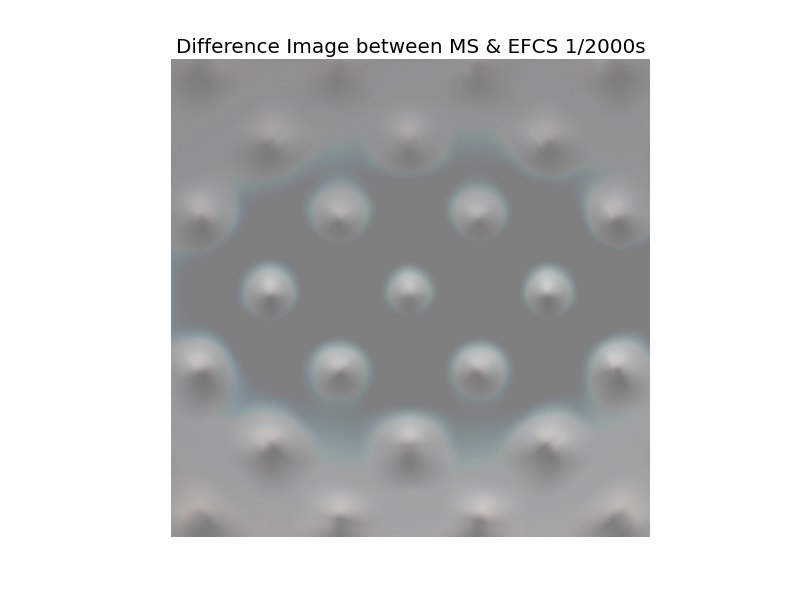 Due to the ES (electronic shutter) and MS (mechanical shutter) operating in different planes, out of focus areas in an image can become distorted. The gap between the two shutters can allow for preferential acceptance of some angles of incoming rays versus others. The magnitude of the effect will depend on the shutter speed, with faster producing a worse effect. 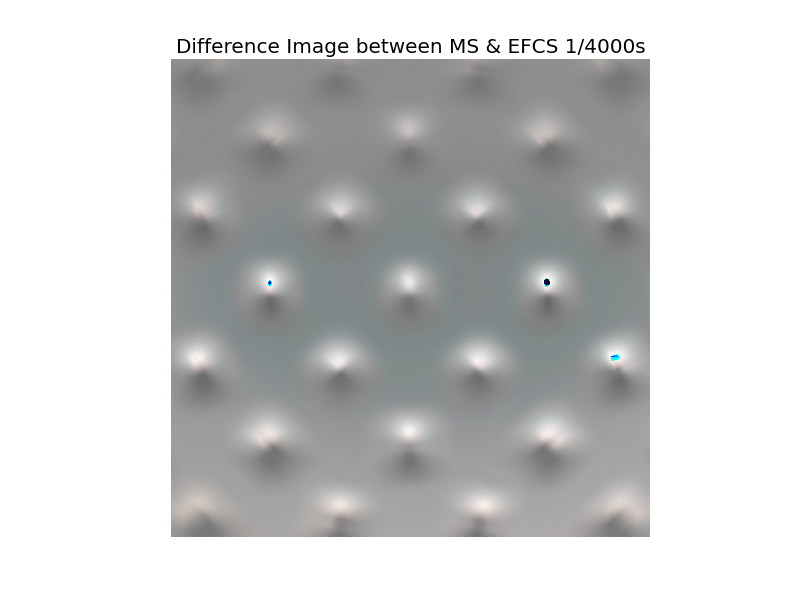 The black and cyan areas of the image are where the difference is exceeding the range. This will go away shortly as we lower the shutter speed. 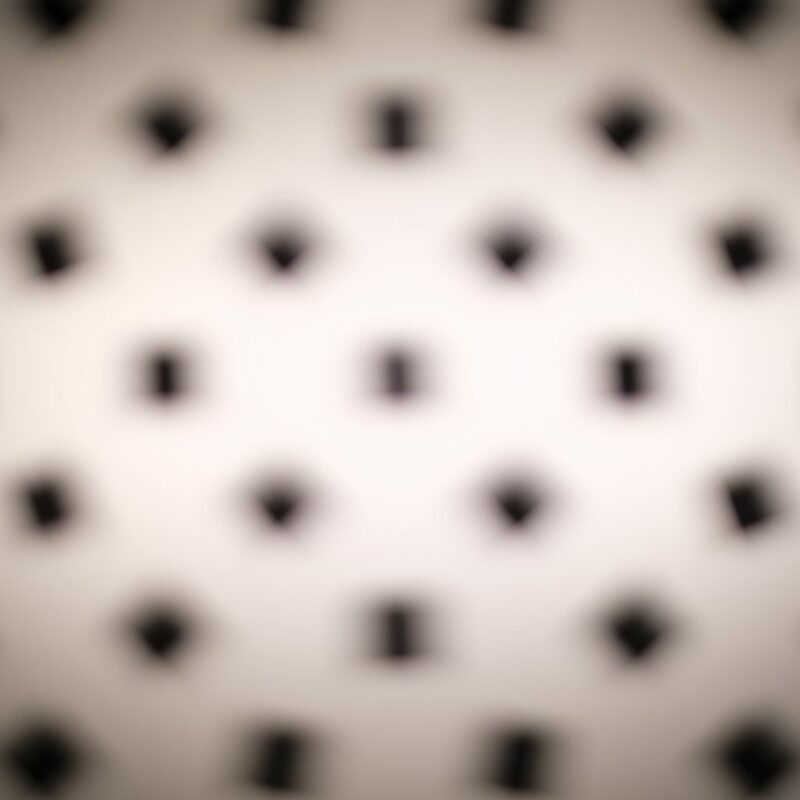 By 1/500s the image are nearly indistinguishable visually, though an effect can still be seen on the difference image. 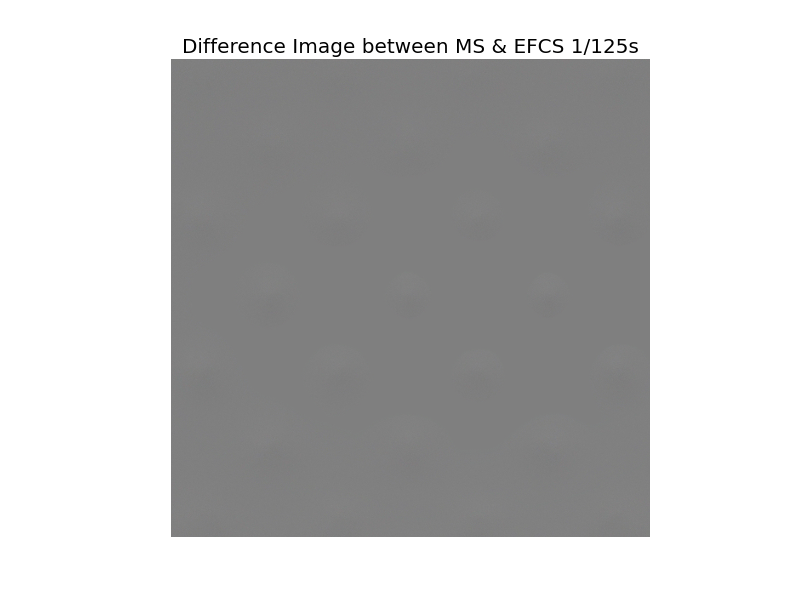 By 1/125s the EFCS effect can barely even be seen on the difference image, much less the actual pictures. 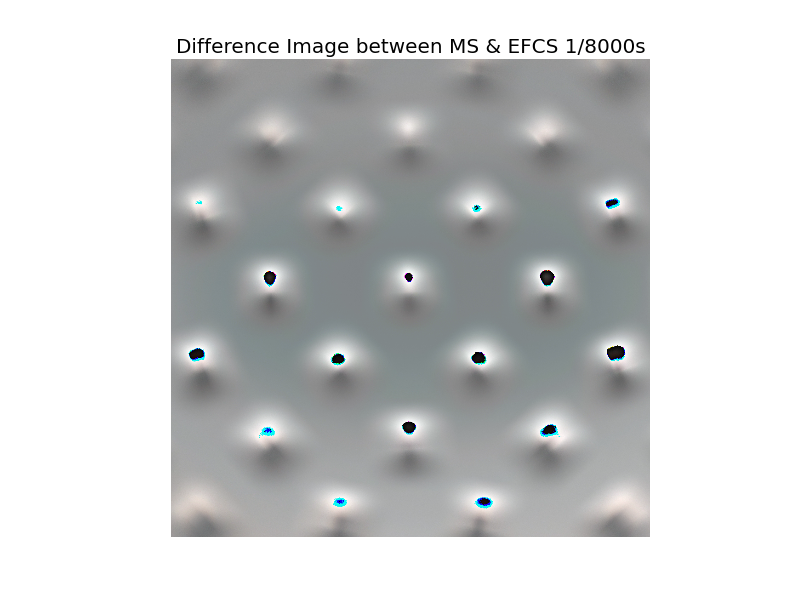 My recommendation is to only use EFCS up to 1/500s if you are concerned with the quality of bokeh in your images. It seems very reasonable the GFX 50s switches to mechanical shutter for higher speeds. 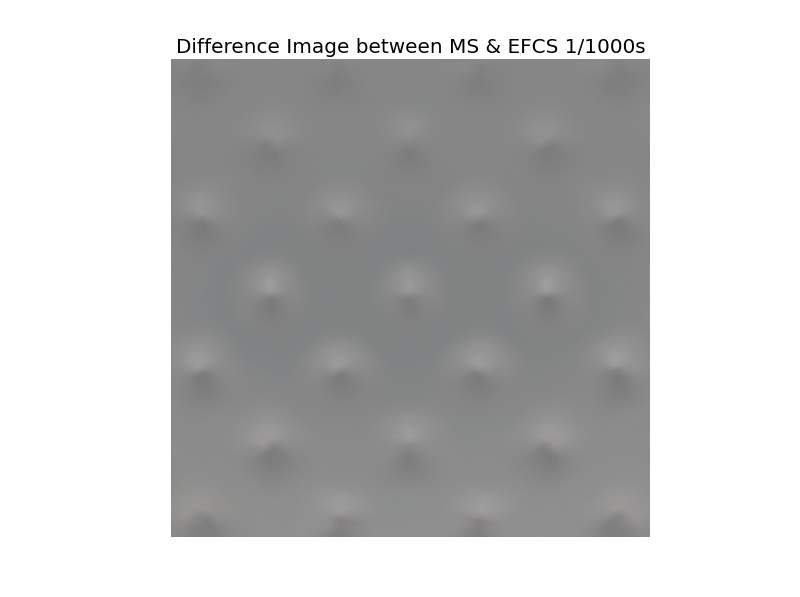 There doesn’t appear to be much overlap between shutter speeds at which shutter shock is a problem and ones where EFCS produces shifts in the bokeh. Importantly for our purposes, there doesn’t seem to be any reason not to use EFCS on a tripod.